Almost constant communication between people in social networks and forums, opened another interesting opportunity for creativity and self-expression. Many enthusiastic creation of humorous comics, cartoons, coming up with funny and cool captions for pictures and video fragments. story trollface (letters. "Troll face") It started in 2008 year, when the first web comic was published in Whynne user account, where they invented grinning black and white mug was drawn in Paint editor. The idea came to mind, funny, and sometimes stinging comics trollface flooded blogs and social networks. 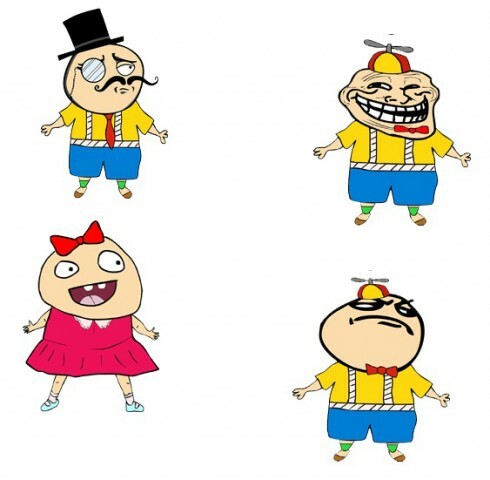 Some users question, how to learn to create their own trollface and wit shine on the internet? Today, there are many ways to create a comic book. for example, using the same editor Paint, using Photoshop or another graphics editor. But they all require knowledge of these programs, and the draw there long enough and hard, that for the average user is not very convenient. The network has a simple and affordable methods. 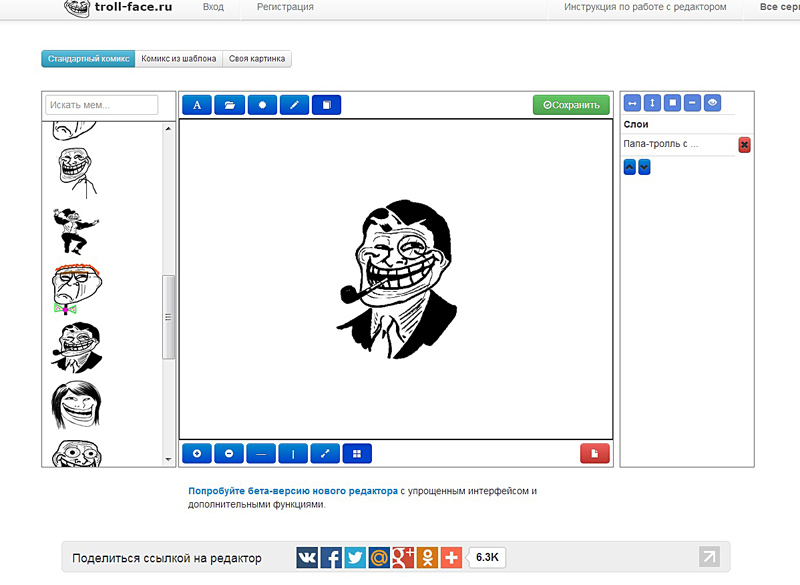 Very popular website troll-face.ru with special designers, where you can quickly create pictures with captions, comics, memes, demotivators and SIFCO. How to work with the designer? 1. At the beginning decide, we will create, we need a comic, it and select. DTo do this, on the top panel there are buttons. Click on the “Comics”, abouttkroetsya editor window. 2. The emerging field with the help of special lines can be divided into the number of images, which is conceived in comic. In the background you can upload pictures of your files, or use of the site template gallery. 3. It was the turn to load the appropriate faces-trollface, memes or characters, Folders are left with them. There are plenty to choose from, folder as the main, and custom. 4. Now we have to come up with a funny inscription, performing its professional font and color appropriate, and store the result. by the way, it can be immediately sent to your page in the social network, or to leave the site in the database. If desired,, you can search for other resources, work in them is not much different. Of course, if proficient in Photoshop, it is possible to create unique masterpieces of comic, but for daily exchanges jokes and gags, available on-line resources are indispensable!